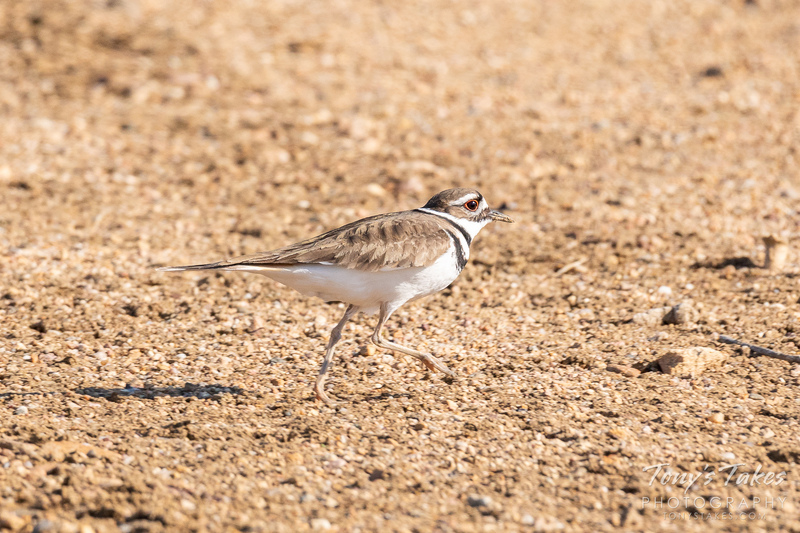 Killdeer are a fixture on the Colorado plains this time of year, making lots of noise as their little ones emerge from their nests. They are quite skittish and I have gotten very few pictures of them. This one however was very willing to let me take its picture, I suspect only because I was close to its nest. It alternated between making its infamous sound and ‘playing lame’ – a tactic the bird uses to lure prey away from its nest. I never did find where the nest was although I suspect I was quite close. 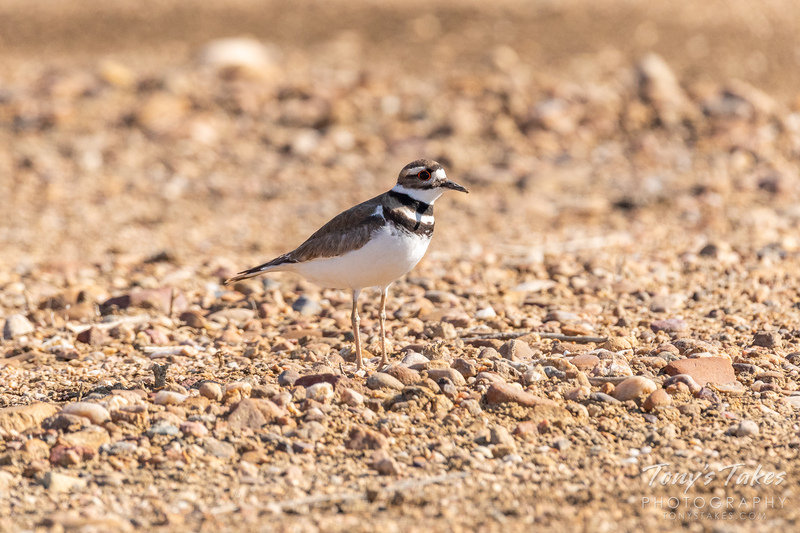 You can hear a sample of the Killdeer’s distinctive call here. Kill what? A killdeer that is! While walking along the South Platte River earlier this week I came across a few of these. While I never saw any little ones, I suspect I must have come close to them given how agitated the pair seemed to be with my presence. The killdeer is a common shorebird that lives year round in all but the coldest parts of the contiguous United States. It is very vocal and actually derives its name from the high-pitched sound it makes. It is also known to put on a ‘broken wing act’ to distract predators from its nest and lead them away.